Magnificent new EP and the first release in two years from revered Brighton duo Harper Lee. The exquisite title track, presented here in two takes, contrasts trademark Harper Lee melancholy with an upbeat, keyboard-driven tune that recalls the more optimistic moments of lead singer Keris Howard’s former band Brighter. Among the three other exclusive tracks, ‘I Could Be Wrong’ is a perfect slice of Go-Betweens-by-numbers acoustic pop, its jangling guitars the perfect complement to a curiously hopeful message. The moody and churning ‘William Blake’ is a sumptuous textured pop gem that best demonstrates the multi-layered instrumentation characteristic of the band’s acclaimed previous releases, while ‘Come Rest Your Weary Head,’ a chiming lullaby featuring hypnotic percussion and the most plaintive of vocals, ends the EP in sublime fashion. 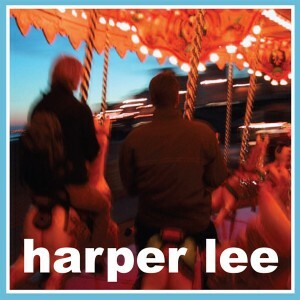 A brilliant EP and very welcome return for Harper Lee! Limited to 1000 copies in custom minijacket sleeve.